Improve your feet while you walk! Yoga sandals are cool flip flops that have toe separators and heel support. They are designed to improve balance and posture, strengthen muscles in the feet, improve circulation and promote joint flexibility. They are available for men and women. People say they are great for easing the pain of foot problems such as bunions and plantar fasciitis. 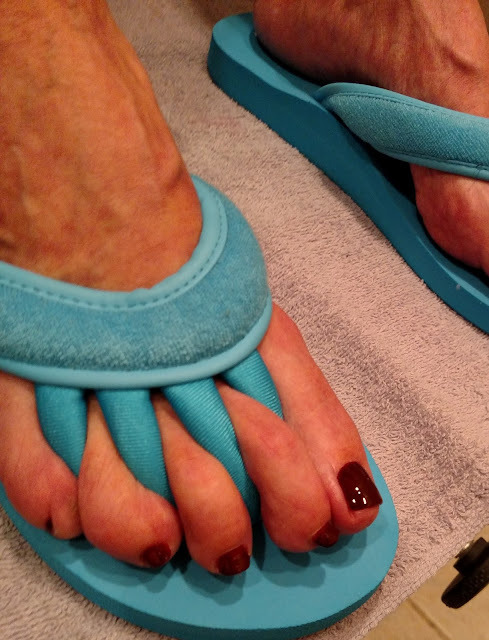 Best of all, they are perfect for pedicures with their built in toe separators! Q&A: Where can I get Botox? Can hair styling products cause blemishes? My knees are too dark and dry!